The college continues to develop and is a cornerstone of education development in the North East, we hope you can join us for our popular club event as we return to enjoy the impressive facilities of New College Durham. While we’re in a place that celebrates skills and learning, we thought it was a good opportunity to hone our own skills around digital marketing – specifically LinkedIn. In recent years, LinkedIn has transformed into a platform that offers great opportunities to spread messages, make valuable connections, and – ultimately – win new business. 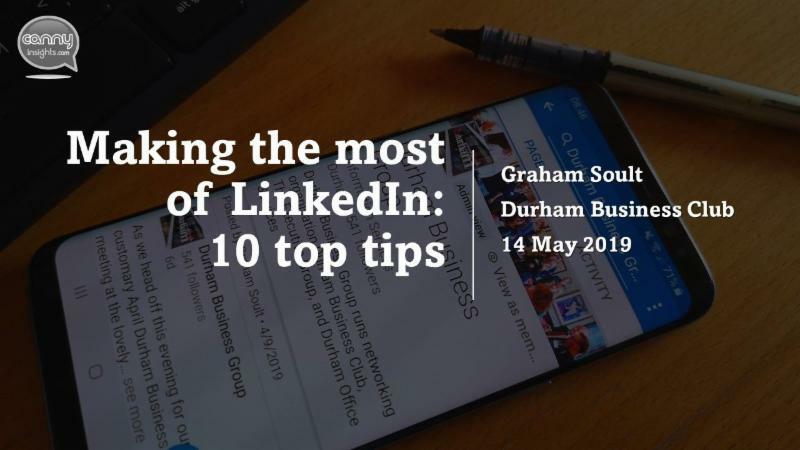 Social media expert and DBG director Graham Soult has been helping the Group expand its online reach recently, and will be sharing his top ten quick tips for how you can maximise the value of LinkedIn using both your personal and business profiles. The evening will include our usual mix of informal networking, presentations and ending in a buffet, courtesy of the fabulous Le Nouveau Restaurant.